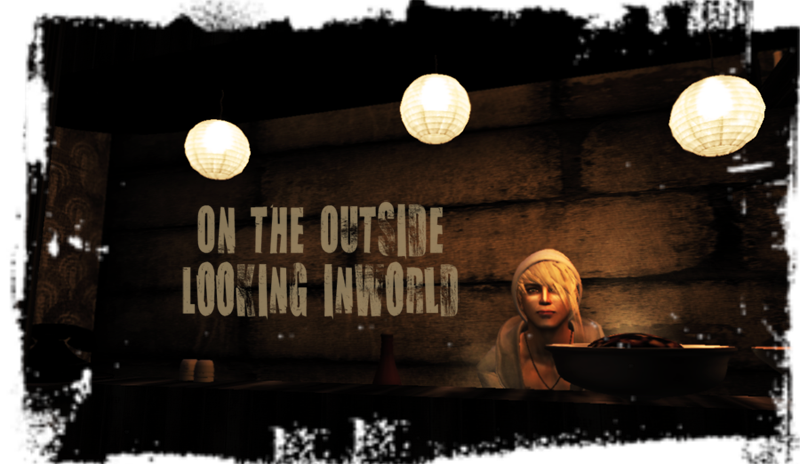 On the Outside looking Inworld: It's been a while. After a few weeks of intense uni work (ok maybe not THAT intense but it sure felt like it) and some personal problems I can say that I'm pretty much fully back into this whole blog stuff...thing..that I do. "That's nice dear. Now put it back in the person you found it in." What? 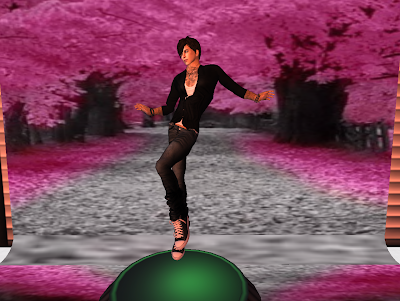 I make skipping look manly! Once the wedding is over I'm going to go back into making stuff for Dead Chuffed and hopefully full fill some promises I made for myself at the beginning of the year. Because my RL time will be spent mostly job hunting I can use a few hours actually learning different sculpt softwares and getting more of a selection in my store. If I'm lucky to get a RL job that pays enough I'll get myself a store inworld so I can make some better sales. The shadow eye bands are the best seller but they are starting to pop up everywhere now on SL and mine are no longer the lowest priced and there are some of better quality. Better get designing! Photos, Pride and Thigh high boots.